The holidays are great! We get to celebrate our religious beliefs, take time off from work, consume holiday treats, relax with family and friends, and carry forward special yearly traditions. However, the holidays also bring the double edged sword of trying to control our spending and our weight! Many of us take no steps to control holiday spending and are surprised and dismayed when the bill comes in January. It is typical for American’s to gain a pound during the holidays, BUT THEN WE NEVER LOSE IT. 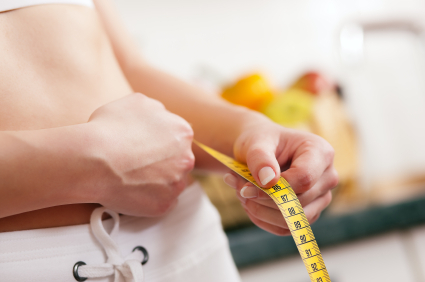 According to sources, overweight people tend to gain a few more pounds during the holidays. Just for fun, today we’ll show how controlling spending and controlling weight gain are similar. Just as you make a plan for what you want to spend on holiday shopping, entertainment, travel and food, so too, you can make a plan for what you want to consume during parties and in between. List out the people for whom you want to buy gifts and the amount you think you might spend on each. Detail the parties you are giving on the list showing each item needed (include food, drinks – alcoholic and non, ice, favors, napkins and cutlery and etc) and it’s cost. Remember to include extra treats you plan to take to work and budget for some known unknowns, like that last minute gift you might want to get for someone who surprises you with one. Don’t forget extra gas or airline tickets/rental cars if you are traveling and things like holiday cards, postage, wrapping paper, portraits and any special clothing you plan to buy for yourself. List out the parties and get togethers you will be attending by date and time. Identify whether the event will have a meal or snacks and whether it will have alcoholic or otherwise caloric drinks. Put the amount of extra calories you believe you will consume on your calendar so that you can plan to reduce intake the day prior or after. Just as knowing what you actually spent on an item helps you stick to a budget, studies have shown that dieters who weigh in each day lose weight more successfully than those who don’t. Tracking actuals is important. As you purchase gifts, entertainment supplies, gift wrap, bows, travel tickets, cards and postage, list out the actual prices you pay for each item. If you are going over in one area, try to adjust in another. After you attend holiday events, jot down an estimate of the amounts of snacks, foods, and drinks you consumed and then work to compensate for any extra calories you ate or drank. Weigh yourself every day during the holiday period so that you see when you are starting to gain. The holidays come every single year. You know they are coming. Why not anticipate the fact by preparing ahead of time? Start shopping for holiday needs and gifts early so you can compare prices, collect coupons and not be rushed. As you shop, you will use your lists (described above) to keep track of what you spend on each person and each item. Add a note as to where the item is stored and whether it is just wrapped to keep things nice and organized. When you know you will be heading out to that holiday get together, prep your body be filling up on healthy, low calorie foods before you leave for the party. Take a water to sip to help you avoid the nibbles. Are you trying to control your holiday spending and weight gain this year? What will you be doing? While I agree with everything written here, sometimes it is just so difficult to say no to all that delicious Christmas food when it is put in front of you. I’ll have to ask Santa for some willpower this year. Get some for me too! My goal each year this time of year is just to avoid gaining. Good correlation between the two. We’ve got the spending part down cold, so there’s no issue with that. In terms of the eating, we’re trying not to make as much this year. Running our own business, we don’t get the things you might in an office, but we can cut down on what we make. The office food is def. hard to resist. I definitely need to monitor my weight this year. I’m going into the season a few pounds over my target weigh and I really don’t want those few pounds to turn into five or more! To combat it, I’m planning on working out a lot, and trying to make healthy choices as much as possible. I’m up a pound from Thanks giving – just saw it arrive this morning. So this week will be restrict it week! Choosing to start a weight loss New Year’s resolution before the end of the year can really help as well. It’s something that I’ve been putting off, even though my clothes seem a little more snug that I would like. It’s all about discipline. Not that it’s always so easy, as I tend to indulge in holiday food. But really, having that commitment to making smart decisions is really important with both money and our health. Bigger outcomes are the result, quite often, of many smaller decisions. Good to keep in mind over the holidays, while balancing fun in the mix too!